Genesis marked its 40th anniversary in 2006, and in 2007, honored the occasion with a tour reuniting the three man line-up that defined the group through its most successful era: lead vocalist/drummer Phil Collins, guitarist Mike Rutherford, and keyboardist Tony Banks. Onstage together for the first time in fifteen years, the power trio's “Turn It On Again Tour” played to sold-out stadiums and arenas nationwide and internationally. 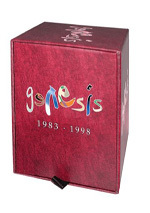 Adding to the celebration is Rhino's continued upgrade of Genesis' catalog with Genesis: 1983-1998, the second of three historic box sets that will ultimately cover their entire output to date. Genesis: 1983-1998 spotlights the band's “power trio years,” during which time Phil Collins also became a solo superstar. The box encompasses two-disc, CD/DVD editions of four classic albums - three with Collins - plus one rarities compilation: "Genesis", "Invisible Touch", "We Can't Dance", "Calling All Stations" and "Extra Tracks 1983-1998". Each of the four remastered CD/DVD album reissues are also available individually, but Extra Tracks is only available as part of the ten-disc Genesis: 1983-1998. The CDs for each of the four catalog titles presents the original album in a sonically superior new stereo remix, remastered for optimum sound. The rarities CD presents unearthed gems spanning '83-'98. Each DVD disc includes a 5.1 DTS Surround Sound of the audio tracks plus bonus video content, photo galleries, memorabilia images and new 2007 interviews with the band. In total, the box set features more than three hours of previously unreleased video. 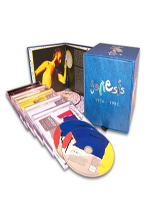 Hot on the heels of a boxed set that covered the band’s output from 1976 to 1982 comes Genesis: 1983-1998. This package includes the band’s four albums from that span as well as a disc’s worth of non-album material. We get 1983’s Genesis, 1986’s Invisible Touch, 1991’s We Can’t Dance, and 1998’s Calling All Stations. The fifth disc – simply titled Extra Tracks 1983 To 1998 - includes 13 non-album tunes. 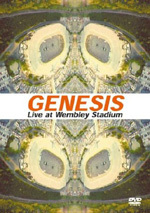 For the longest time, I viewed Genesis as my favorite of the band’s releases. Do I still see it that way? I’m not sure. I’ve come to really like Abacab, so I may take that one as my pick for the best Genesis, but “Self-Titled” remains a close second at worst. Like Abacab, I think Genesis balances the two sides pretty well. “Mama” was a fairly daring choice as the album’s first single, although it does reflect Collins’ “In the Air Tonight” side with its moodiness and explosive ending. It’s probably not as good as “Air”, but I’ve always liked it. Indeed, “Mama” was the first Genesis tune I ever really enjoyed as a teen. “Home By the Sea”/”Second Home By the Sea” offer the biggest reflection of “old” Genesis. The two combine to create a pretty long “prog” number, but it still manages to represent “pop” Genesis fairly well. For me, the instrumental parts ramble a little too long, but the track still seems enjoyable and melodic enough to be a winner. “Illegal Alien” must be one of the weirdest tracks in the Genesis catalog. No, it’s not as overtly bizarre as some of the Peter Gabriel goofiness, but it comes across as something perplexing at best. On one hand, it seems to be an ode in support of the poor Mexicans forced to cross the border to seek a better life in the US. On the other hand, Collins sings with a Frito Bandito accent and the tune turns into an oddly peppy and jaunty track. Given the band’s political preferences, I can’t imagine they intended to denigrate illegal aliens, but the strange choices made here create befuddlement. What purpose does the song serve? I have no idea, but it’s a catchy tune. Genesis gets a fair amount of negativity from fans, but I think it works pretty well. I admit I don’t like it as much as I used to; for a long time, this was the only Genesis album I enjoyed, whereas now I see its weaknesses a little better. Nonetheless, I think it remains a likable release without any real weak links. It’s not stellar but it’s good. Invisible Touch came as the first Genesis album after Phil Collins became a true solo star. His 1985 album No Jacket Required was a huge smash – so much of one that the PR materials for 1983-1998 say that Touch followed Collins’ “hit debut as a solo artist”! In fact, Phil put out Face Value in 1981 and Hello, I Must Be Going! in 1982. Both actually did quite well, but they clearly paled in comparison to the hit juggernaut that was Jacket. Its success meant that when Genesis reconvened in 1986, for the first time they were often perceived as “Phil Collins and Friends”. Everything found on Touch was seen through that spectrum, which was – and is – not fair. Tony Banks and Mike Rutherford didn’t suddenly cede their influence in the band just because Phil had more name recognition. The thought that the band’s increasingly prominent pop side was the result of Phil’s ego seems misguided at best. But no one can deny that the Genesis of Invisible Touch clearly aimed for the top of the charts more than ever. Touch doesn’t negate the band’s prog past, but it relegates that side of things to the background and usually emphasizes crowd-pleasing pop works. Some of these do sound like they could come straight from a Collins solo album, while others are quirkier, but few connect terribly well to earlier Genesis. Is that necessarily a bad thing? Touch gets a lot of criticism from fans as a sell-out album at best and insubstantial at worst. If we view the release on its own terms and try to distance it from its stigma, does it fare that poorly? No, I don’t think it does. I think Touch is an erratic album, but not one without its charms. There’s a bouncy pop side to it that can make it endearing and enjoyable. It won’t stick to your ribs, but it’ll give you a decent time while you listen to it. Most fans seem to prefer the album’s latter half since it portrays a greater embrace of the band’s prog past. This comes to the fore via the extended “Domino”, an embrace of their prior rambling glories. Actually, “rambling” probably isn’t fair, as that implies the song meanders. I think it’s pretty tight, at least for something that takes this many twists. Touch is one of those albums even casual fans can hear and know most of the songs. It boasted a long roster of successful tunes – so many that it almost becomes a de facto “greatest hits” package. Familiarity has bred some contempt, though. Would longtime fans dislike Touch so much if it hadn’t been such a big hit? I don’t know – maybe, but I suspect some of the disdain comes from its omnipresence. Without question, Touch is the most “pop” album in the band’s history, and even if it’d tanked, I’m sure some fans would still hate it. I think it’s a decent release, though it can get pretty gloppy at times, primarily due to the mix of simpy ballads. The glossy 80s production sure doesn’t help, as it wraps a now-cloying sheen around some otherwise pretty good songs. Maybe because I grew up in that era, I don’t really hate the production; it dates the album, but I can get past it. All of this combines to make Touch a reasonably enjoyable album, but not one that I will want to revisit too often. Some of that comes from excessive familiarity; I’ve heard these tunes so many times over the years that I lost most prior affection for them. Some simply comes from the album’s lackluster nature. This is a decent album with its own charms but not a great one. Genesis took a five-year break before they returned with 1991’s We Can’t Dance - or Invisible Touch Part II, as it should be called. In almost all ways, Dance creates an impression that will strongly remind listeners of the earlier hit. Some might argue it includes superior songs as a whole, but I think it’s a toss up between the two. If you like one, you’ll like the other. If you can’t stand one, I don’t imagine you’ll embrace the other. So for me, Dance is another enjoyable but less than meaty effort. It’s a longer version of Touch with better production. And it’s consistently likable but never especially memorable. In a comparison of the two, Dance generally comes across better. Fans seem to prefer it, perhaps partially because it wasn’t as big a hit; it did well, but it wasn’t the blockbuster that Touch was. By 1991, the general public had gotten kind of sick of Collins, and that backlash meant moderately declining returns. While Dance does bear a strong resemblance to Touch, I think it’s probably the stronger effort of the two. Maybe some of that stems from my lower level of familiarity. I owned Touch back in the 80s, and as I mentioned earlier, much of it got tons of airplay as well. I never picked up a copy of Dance and it also wasn’t as prominent on the airwaves, so I’d not gotten sick of its tunes. It also became more difficult to be fed up with Dance because it’s a substantially longer album. Back in 1986, bands still recorded with the time limitations of vinyl in mind. For decades, the average record ran about 40-45 minutes across its two sides. Since CDs hold up to 80 minutes, acts eventually felt like they had to fill all that space, but it took a few years for this change in mindset to take hold. We see the difference on Dance, as it goes for 71 minutes, 48 seconds rather than the 46 minutes, 14 seconds of Touch. Perhaps because they’d been away for a few years, Genesis did a pretty good job of filling that space. The additional length means we’re not as familiar with so many of the songs and also that we get a greater variety of material. Touch can feel a little monotone at times, whereas Dance provides a wider scope among its tunes. And unlike Touch, fans embrace at least one of Dance’s hits: “No Son of Mine”. This one feels like another from the “In the Air Tonight”/”Mama” mold, but that doesn’t mean it comes across as a copycat. It’s a pretty powerful little number and one of the album’s highlights. The title tune was a hit, and it’s an enjoyable enough little piece of nothing. It’s too much in the “Invisible Touch” mode, though, as it often feels like a conscious attempt to recreate those chart-topping glories. The same goes for the bouncy “Jesus He Knows Me”. That one attempts some social commentary, though it feels about five years too late; criticism of televangelists was a pretty dead topic by 1991. Ultimately, Dance has a lot to offer, partially due to its length and scope. It boasts some pretty solid hits and a smattering of misses. This never becomes memorable Genesis, but it’s enjoyable – at least if you dig the band’s poppier side. When Collins left after Dance, that seemed to mean the end of Genesis. With neither of the band’s two iconic frontmen attached to the group, where is there go? To a third frontman – or at least that’s what Rutherford and Banks thought was best. Not a good idea, though at least Van Halen’s decision to bring in Gary Cerone supplanted the Genesis move for the “Worst Third Vocalist” title. The two-man Genesis rounded up a younger dude named Ray Wilson to take the vocal reins. In a daring move, Banks and Rutherford didn’t pull in a Phil Collins soundalike. No – they went for a Peter Gabriel soundalike! Maybe they figured people would think Gabriel returned to the fold, or maybe the felt no one remembered Gabriel used to sing for Genesis so Wilson wouldn’t suffer the comparisons that would accompany a Phil clone. I don’t want to come down on Wilson as a vocal talent, for he has a decent singing voice. He really does sound a tremendous amount like Gabriel, though. In fact, when I listened to this set’s Extras disc and got to one of its last songs, I initially thought it was Gabriel; I figured he might’ve come back to do a guest vocal at a late date. But I really don’t hold Wilson accountable for the problems with Genesis circa 1998 – I pin the blame on Banks and Rutherford for what look to me like some really calculated choices. For one, they should’ve found a vocalist who didn’t sound just like one of his predecessors, and for another, they should’ve gotten someone closer to their age group. They also brought in new backing musicians who were probably half their age. Were these guys talented? Sure, I guess, but when a pair of dudes pushing 50 do something like this, it looks like an obvious attempt to snare a younger audience. Geez, Wilson looks like he came from a casting call for “late 1990s rock lead vocalist”; he’s a mix of Trent Reznor and Scott Stapp. All of these weaknesses might be forgotten if the music worked, but Calling All Stations never engages. I’ve listened to it five or six times now, but I find it very difficult to actually remember any of the songs. Oh, I sort of recognize them when I play them, but if you asked me to hum a melody after the fact, I couldn’t do so. The songs all tend to fade into the wallpaper. They lack memorable tunes or anything to make them stand out from the landscape. It doesn’t help that they really feel like products of their time. Yeah, Touch and Dance suffered from their eras’ production choices, but at least they offered some catchy numbers. Without the same infectious nature, the songs of Stations become rather anonymous. This edition of Genesis just doesn’t seem to know why it exists. The prior few albums found them as a force on the pop charts; for better or for worse, at least they delivered on that goal. Stations acts like it wants to be a hit as well - probably a little too much. It has that post-grunge alterna-feel that doesn’t connect well to prior incarnations of Genesis. Some fans will disagree, but I think Genesis naturally evolved into a pop band. If you listen to the albums on 1976-1982, it’s not like they suddenly went from the prog weirdness of the Gabriel era to the pop pep of Touch. They slowly developed along those lines and never made an abrupt switch. What does Stations have to do with either of those incarnations? Little if anything that I can discern. This feels like a totally different band, which it sort of was. I’m sure Banks and Rutherford remained the leaders, but it feels like they tried so hard to score a hit and prove they didn’t need Collins that they lost the band’s identity along the way. So this makes Stations a forgettable piece of late Nineties fluff. I can’t call it an unpleasant album, but it never sticks with the listener. At least the other three albums in this collection boast some decidedly catchy tunes, but this one just fades from memory as soon as it ends. For the final CD, we get a hodgepodge of “B”-sides under the banner of Extra Tracks 1983-1998. Of the eight songs, five come from the Collins era and the other three emerge from the brief Wilson administration. I find little gold among these leftovers, though some decent songs emerge. If you read the prior parts of this review, you’ll know I only like the Collins administration, so the first five songs held the most interest for me. Without question, “On the Shoreline” and “Feeding the Fire” stand as the class of the package. I wouldn’t call either of them great, but both are quite good, and they clearly surpass the other six tunes. One of the other three Collins-era tracks doesn’t feature Phil on vocals – or anyone else, for that matter. “Do the Neurotic” is a decent instrumental and nothing more. “I’d Rather Be You” offers a peppy synth-driven number that would be more at home on a Collins solo album, while “Hearts on Fire” is something odd. It goes with a quirky Collins vocal that hearkens back to “Illegal Alien”. It’s a listenable number but doesn’t really come together. As for the three Wilson numbers, they uniformly leave me cold. “Anything Now” and “Sign Your Life Away” are more generic rock numbers circa 1997; skip them. “Run Out of Time” provides something moodier, but that doesn’t make it better. And if you think Wilson sounds like Peter Gabriel elsewhere, the resemblance becomes downright clone-like here, especially during the opening lines of “Time”. I actually thought that the vocalist was Gabriel at first; he did some new work in 1999 for a re-recorded “Carpet Crawlers”, so I thought “Time” might’ve been from those sessions. Nope – it’s more forgettable Wilson-era stuff. When it came to my evaluation of this set, I ran into a dilemma: what should I consider to be the main components and what are the extras? I decided that the albums themselves are the meat of the package and all the video material acts as supplements. This led to an odd reviewing issue since I didn’t discuss these elements in the body of the review but I now need to chat about their quality. Stuck in this odd circumstance, I decided that I’d only grade the picture and sound quality of the package’s music videos. I’ll now discuss those videos in terms of content and I’ll get into visual and audio quality after that. I’ve rated all of the videos on a scale of 1 to 10. Mama (Genesis): “Mama” was the first Genesis song I ever liked, and it’s also the first song we’ve encountered in this set that wouldn’t sound right at home on a Collins solo album. Yet another lip-synch clip, this one at least manages to use its moody sepia look and grimy cantina setting in an effective way. 6/10. That’s All (Genesis, 1983): At heart another simple lip-synch performance, “All” adds some distinctiveness as it places the band in a Depression-era setting. It helps the tune itself is edgier than most Genesis ballads. 6/10. Illegal Alien (Genesis): We head back to the realm of comedic social commentary here. The video casts the band members as Mexicans who seek a route to the US. It makes some minor points but mostly acts as an excuse for some goofiness. The song is oddly peppy given its subject, but it works. 7/10. Home By the Sea/Second Home By the Sea (Genesis): As I’ve noted through this review, a lot of Eighties Genesis sounds like solo Phil Collins and lacks much connection to the band’s roots. For me, that’s not a bad thing, as I don’t particularly care for Gabriel-era Genesis; I’m one of six people to prefer pop Genesis to prog Genesis. Anyway, the farther back we go, the closer to prog Genesis we get, and “Home” is one of the few songs that almost sounds like it could come from that era. It’s not as strange as the Gabriel stuff, but it’s also not as mainstream as most of the Collins material. Too bad the video is a simple lip-synch piece without much to make it interesting. 4/10. Tonight Tonight Tonight (Invisible Touch): This moody, stylish video feels a lot like one of those commercials the band later parodied in “I Can’t Dance”. It mostly follows the basic lip-synch format but the dark atmosphere makes it more interesting than most. 6/10. Anything She Does (Invisible Touch): The song sounds like an outtake from No Jacket Required, but that’s not a terrible thing. It’s a peppy little track, and guest star Benny Hill adds a fun tone to the video. He plays the band’s new head of security and goofs up a storm. 8/10. In Too Deep (Invisible Touch): Another song that comes across like a leftover from a Collins solo album, “Deep” falls flat. It’s a dull ballad and the video does nothing to elevate the drab tune. It sticks with bland lip-synch footage. 3/10. Invisible Touch (Invisible Touch, 1986): Riding on the heels of Collins’ massively successful 1985 solo album No Jacket Required, Touch became the biggest selling Genesis album, and it introduced them to an era in which they played stadiums. Whether this was good is a subject open to debate. “Touch” the tune doesn’t stand among the best work done by the band or Collins solo. Its synth-based sound hasn’t aged well, though I thought it was a silly tune 21 years ago. The video offers little more than a goofy take on the usual lip-synch performance genre. Collins clowns around on the set and that’s about it. 4/10. Throwing It All Away (Invisible Touch): Collins introduces this one to tell us we’ll get a behind-the-scenes look at Genesis on tour. Indeed, that’s what we get. We see a few performance shots and check out band and crew as they go through their work. None of this ever becomes particularly fascinating, though it’s a decent tour travelogue. 5/10. Land of Confusion (Invisible Touch): One of the band’s most popular video, “Confusion” used the briefly popular “Spitting Image” puppets to create something unusual. Its parody of Ronald Reagan and its social commentary lack insight, but it manages to become fun and clever all the same. 8/10. Hold On My Heart (We Can’t Dance): A simple video for a dull ballad, “Heart” shows little inspiration in either category. The tune definitely doesn’t go down as one of Collins’ better ballads, and the video simply shows the band as they lip-synch in a bar. The whole thing looks like it took about 10 minutes to create. 3/10. Jesus He Knows Me (We Can’t Dance): This song would have been cutting edge commentary – five years earlier. By 1991, greedy, hypocritical televangelists were old news, so “Jesus” feels like headlines from yesterday’s papers. Despite that, the song proves peppy and enjoyable, and the video has its moments. Actually, it’s pretty predictable, but it includes some shots of hot women in bikinis, so I won’t complain. 7/10. Tell Me Why: (We Can’t Dance): Serious Genesis returns in this “Save the World” clip. Actually, it’s a simple video, as it cuts between lip-synch shots of the band and scenes of needy folks. I give the video applause for trying to raise awareness, but it doesn’t make for an interesting piece, unfortunately. The presentation feels too much like a Sally Struthers commercial, and the song lacks much spark. 5/10. No Son Of Mine (We Can’t Dance, 1991): With a nod toward Aerosmith’s “Janie’s Got a Gun”, this sepia-toned video looks at a teen boy and his abusive father. It intersperses those shots with images of the band as they play in the kid’s house. As often with Collins-oriented Genesis, the music is overproduced; a sparer version of the song would have a greater impact. Still, it sounds reasonably good and the video becomes effective. 7/10. I Can’t Dance (We Can’t Dance): Comedy comes to the forefront with this clever clip. It opens with a parody of then-current Bugle Boy ads and continues to mock other promos as well as Michael Jackson. This seems more than slightly disingenuous; if I recall correctly Collins – with and without Genesis – indulged in corporate sponsorship, so it doesn’t make much sense for him to attack others for doing the same. Nonetheless, it’s an amusing video for a decent song. 8/10. Congo (Calling All Stations, 1997): For our brief glimpse of post-Collins Genesis, we start here. The song sounds a lot like mid-Eighties Genesis, though the video clearly shoots for a younger crowd. We see little of old men like Banks and Rutherford and only a few shots of younger singer Ray Wilson. Mostly we watch bits of some story between a hunky guy and a bald chick. It all goes nowhere. 4/10. Shipwrecked (Calling All Stations): Another dull tune, this one alternates band shots with images of essentially immobilized young folk. It wants to make a point, but I’m not sure what. 4/10. Not About Us (Calling All Stations): Wilson-era Genesis ends with this track. Thank God! This video offers more nonsense with ordinary people and fails to become anything interesting. The bland ballad makes me long for Collins’ syrupy tendencies. 4/10. The music videos appear in an aspect ratio of 1.33:1 on these single-sided, double-layered DVDs; due to those dimensions, the image has not been enhanced for 16X9 televisions. These videos weren’t attractive but they were about what I expected. The quality of the clips varied, but unfortunately, they usually presented fairly unattractive visuals. While they generally seemed typical for their eras, the videos nonetheless displayed more concerns than I expected. Mostly shot on film, the clips from the start of the Eighties and Seventies presented rather unattractive visuals. They suffered from flat and listless colors as well as imprecise focus, grain and other print flaws. Colors tended to appear murky and loose. The tones depended on the visual styling of the videos, but even when I considered those constraints, the hues generally were too muddy and messy. Black levels looked reasonably dense, though they sometimes demonstrated inky qualities. Shadow detail was acceptably distinct but not any better than average. I’ve seen lots of music video collections that span this set’s era, and most of them look about the same. Occasionally one surpasses the others, but the majority of them demonstrate similarly murky and muddy visuals. That’s just an artifact of the materials used in the various periods. I still didn’t feel the clips deserved a grade above a “C-“, but they remained consistent with what I anticipated. Happily, no such concerns affected the excellent audio of these videos. The DVDs offered both Dolby Digital 5.1 and DTS 5.1 soundtracks. I found the pair to sound identical, as I discerned no substantial differences between the two. While the 5.1 remixes didn’t go nuts, they definitely added a sense of space that made them effective. Appropriately, the forward speakers always dominated, but the surrounds gave the music a feeling of airiness. Instrumental delineation seemed very clean and concise, and the audio still blended together well. The surrounds occasionally tossed in some unique percussion, vocals, guitar or effects, and they created a good atmosphere. These five-channel mixes seemed tasteful and worked nicely. For all the tracks, audio quality seemed excellent. The music presented clean and clear highs, and vocals always sounded natural and distinct. Drums popped as they should, and guitar fills rang appropriately. Bass response appeared tight and deep, and low-end never become loose or rough. A few tracks were less impressive than others, but that related to the original production. Overall, I really liked the audio of these videos. In addition to the music videos, each DVD includes other extras. Of prime interest are the remixed multi-channel versions of all four albums as well as the bonus songs on Extra Tracks. We find both DTS and Dolby Digital editions of the music. I thought these sounded just like the music video remixes, so expect continued high-quality audio from them. I really liked the expanded five-channel takes on the albums and found them to be a nice addition to the set. We get 2007 Reissues Interviews for each album. As for the others, we hear from band members Phil Collins, Mike Rutherford and Tony Banks across all three sessions, while replacement singer Ray Wilson and drummer Nir Zidkyahu also show up for Calling All Stations. 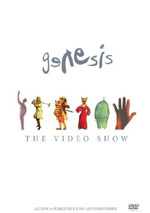 In terms of running time, Genesis’s clip runs 17 minutes, seven seconds, while the Invisible Touch segment goes for 19 minutes, five seconds. The portion from We Can’t Dance fills 15 minutes, 10 seconds, and the Calling All Stations bits fill up 18 minutes, two seconds. Finally, the Extra Tracks disc includes a mere three minutes and 20 seconds of material. Across the interviews, we learn about various album and song details as well as the band’s evolution over the period covered, the writing process, cover designs and music videos. We hear a little about how Collins’ solo success affected the band and also the change in lead singers before Stations. I would’ve liked a little more about the impact of Collins’ mega-success on his own, as that subject doesn’t get a lot of attention. Still, we learn a lot about the various albums, and the interviews consistently entertain and inform. Wilson’s remarks prove the most interesting, as he offers some candid thoughts about his stint in the band. On the Genesis DVD, we find Mama Tour Rehearsal Footage. In this 58-minute and 10-second reel, we see band rehearsals from a one-camera set-up. The shots look bad and the sound isn’t much better. The camera angle comes from a distance, so we see the whole band but they all look small, so we don’t get much detail from them. A few zoomed close-ups occur, but the video resolution stinks, so the shots remain blurry. Despite those technical failings, this is a very cool piece. The band plays “Dodo”, “The Carpet Crawlers”, “That’s All”, “Mama”, “Illegal Alien”, “Firth of Fifth”, “Man on the Corner” and “Whodunnit?”. That’s an eclectic set, and the variation makes the show even more interesting. Yeah, I wish it looked and sounded better, but this remains a very welcome addition. Over on the Invisible Touch DVD, we open with a documentary entitled Visible Touch 1986. This 16-minute and 28-second piece includes comments from Collins, Banks, Rutherford, touring drummer Chester Thompson and touring guitarist Daryl Stuermer as they discuss the new album and tour. We get some live footage as well, though they’re brief enough to lose their relevance. Which is too bad, as they would’ve made “Visible” more interesting. As a tour diary, it lacks much insight. It gives us a superficial look at life on the road, but there’s not much meat here. For a look at the video’s creation, we go to the eight-minute and 38-second Behind the Scenes – “Land of Confusion”. It gives us the “fly on the wall” perspective as we watch director Jim Yukich pitch the video to Genesis. We also see aspects of the video’s shoot. It turns into a nice behind the scenes glimpse of this creative video. Next we head to a Genesis special from The Old Grey Whistle Test. Rock Around the Clock lasts 25 minutes, 14 seconds as it looks back over the band’s history through 1986. It provides remarks from Collins, Rutherford and Banks as they discuss the history of Genesis. Though shopworn, the stories prove interesting. It’s not a great program, but it keeps us involved. Now we go to the We Can’t Dance DVD and find a period documentary called All Access. This 45-minute and 55-second show takes us into the studio to follow the creation of the album. We get the “fly on the wall” view of the sessions along with some comments from Collins, Banks, Rutherford and producer Nick Davis. We learn about the evolution of the songs as well as some other aspects of the band. Though “Access” takes a rather fluffy, promotional viewpoint, it includes enough good glimpses of Genesis at work to merit a screening. In terms of Calling All Stations extras, we get a 10-minute and 29-second EPK meant to sell the album. It provides remarks from Banks, Rutherford and Wilson as they discuss the change in singers and the Stations release. As expected, the promotional side of things dominates, but not to the exclusion of some decent information. This never becomes a terribly rich piece, but it goes down without pain. Some live material comes via the six-minute and 50-second Rock Im Park 1998. It shows a festival performance of “Calling All Stations” – and a really lifeless one, at that. Maybe the band needed more time to gel as a unit, but this rendition of the tune seems awfully bland and flat. Polish Television 1998 goes for 20 minutes and 52 seconds. It provides live performances of “There Must Be Some Other Way” and “The Dividing Line”. Almost 21 minutes for only two songs? Yes, that means those tracks ramble on forever, and not in a satisfying way. My general disdain for Genesis Mark 3 doesn’t find any reason to disappear via self-indulgent stuff like this. With that we go to the Extra Tracks 1983-1998 DVD. It starts with an EPK for the Archive 2 – 72 to 92 CD boxed set. The 18-minute and 54-second piece includes interviews with Collins, Rutherford, Banks and Stuermer as they chat about the compilation of the boxed set as well as reflections on the material included. The piece offers a decent examination of the elements found in the Archive package. For live material from the We Can’t Dance era Genesis, we get Knebworth 1993. This festival concert lasts 40 minutes, 58 seconds and provides a medley of “Dance on a Volcano”, “The Lamb Lies Down on Broadway”, “The Musical Box”, “Firth Of Fifth” and “I Know What I Like (In Your Wardrobe)” followed by “Home By the Sea” and “Domino”. That’s an ambitious set for a festival crowd, though it’s clear Genesis played a longer show than what we find here. We join the concert in progress, and some ugly editing reinforces the omissions. There’s a rough jump from the medley to “Home”, and that track also ends prematurely. Since this show represented one of the final performances by the Collins-led Genesis before his mid-Nineties split, it stands as an interesting historical document. It also presents a pretty solid performance, with a lot of energy evident on stage. Unfortunately, the quality is mediocre at best, as the picture and audio show more than a few flaws. Nonetheless, it’s a cool addition to the set. MMF Awards Ceremony 2000 runs 20 minutes, 40 seconds. To honor award-winner Tony Smith – the band’s long-time manager – the Collins/Rutherford/Banks edition of Genesis reunited for an “unplugged” set. Along with Stuermer, they rip through “Invisible Touch”, “Follow You Follow Me”, “I Can’t Dance” and “Turn It On Again”. On the disappointing side, Peter Gabriel attended the event and came on stage at the end, but he didn’t perform with Genesis. The set itself is a winner, though. It’s a warm occasion and Genesis provides an intimate and unusual look at their material via these stripped-down renditions. For the first four DVDs, we get stillframe reproductions of tour programmes. These come for “Tour 1982” (13 screens), “Mama Tour 1983/4” (18), “Six of the Best 1982” (10), “Tour 1986” (23), “UK Tour 1992” (24) and “Tour 1998” (13). The size of the reproductions makes it difficult to discern details, but I like the inclusion of these programmes nonetheless. They’re a cool archival element. Speaking of glitches, if you go to the Calling All Stations DVD, you may find what is either an Easter egg or some material unintentionally put on the disc. If you watch the EPK and let it run through its conclusion, you may encounter some bonus bits. It’s not clear that if versions of the Stations DVD include these pieces; some fans report finding them while others don’t. Maybe only an initial pressing included this cool “glitch”, but it’s worth investigating on your copy; there’s some interesting stuff to be found here. Finally, the package includes a 44-page Booklet. In addition to a slew of photos from the era covered, we get text. A long essay from director Jim Yukich discusses the albums, the songs, the videos and some aspects of working with Genesis over the years. Yukich gives us some nice thoughts that round out the set in a positive manner. Much of Genesis 1983-1998 represents the band at the peak of their popularity – for better or for worse. I mostly like the pop side of Genesis, especially while they remained moderately edgy with 1983’s Genesis. 1986’s Invisible Touch and 1991’s We Can’t Dance are spottier albums, though generally enjoyable ones. Only 1997’s post-Collins Calling All Stations truly disappoints. As for this set, it’s a nice package of audio and video. We get a nice array of music videos that don’t look good, but that’s due to the restrictions of the source material. The 5.1 remixes are simply terrific, and the release includes a lot of nice archival material. While not exhaustive, 1983-1998 provides a fine compilation. Note that most of the CD/DVD album combos found here can also be purchased on their own; you can get each of the four albums individually. However, Extra Tracks and the booklet are exclusive to this set. Those add about $20 to what it’d run you to get the four albums solo, which I think makes the box worthwhile if you want all four of these CD/DVDs. That’s a big if, of course, since a lot of fans won’t embrace each of the albums – especially the smelly Calling All Stations. I like the Extra Tracks element and the booklet, but it’s hard to justify the additional cost if you don’t want to own all four of the albums.